UCL’s President and Provost Professor Michael Arthur and Vice-Provost (International) Dame Nicola Brewer hosted a ‘Partnership Kick-Off’ Event at UCL’s Bloomsbury campus on 11 October, marking a commitment to the two universities working together more closely. Professor Hideo Ohno, the University of Tohoku’s President, along with three Vice Presidents and more than 40 academics from Tohoku, joined a tour of the UCL campus and met with academic staff from across the university. The tour was followed by a Presidential meeting and introductory speeches from both Presidents. They then signed a Memorandum of Understanding (MOU). Welcoming the delegation to UCL, Professor Arthur highlighted UCL’s longstanding connection with Japan. “It’s a relationship that began in 1863, when the ‘Choshu Five’ risked capital punishment to travel to the UK, followed by the ‘Satsuma 19’, who were among UCL’s first cohort of international students,” he explained. 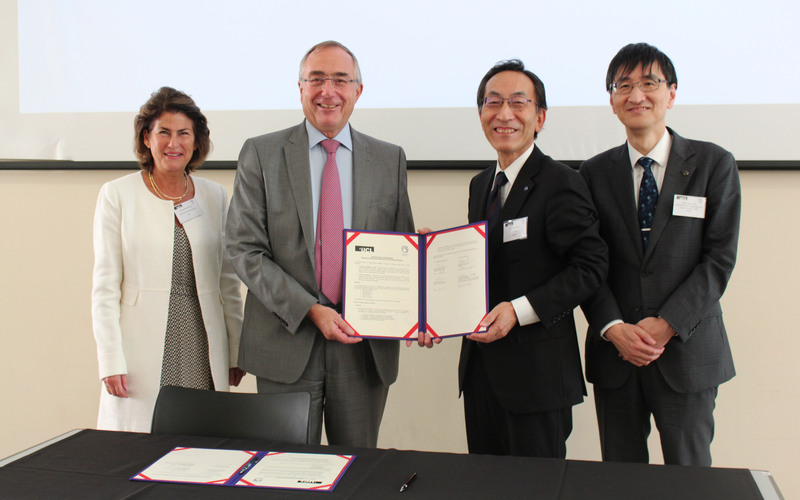 Professor Arthur explained that the new UCL-Tohoku MOU was intended to signal a clear commitment to their partnership, building on the institutions’ existing collaborations in neuroscience, disaster science, data science, materials science and higher education. “UCL and Tohoku will be setting up a joint seed-funding scheme to support the exchange of ideas,” he said. Following their tour of the UCL campus, academics from UCL and Tohoku working in similar fields took part in workshops, over a day and a half, to develop collaboration and idea sharing.